Frederick Charles Rodewald was born in 1905 in Hanover, Germany. His father, Frederick Rodewald, was born in 1879 in Germany. His mother, Caroline Boedeker, was born in 1882 in Germany. His parents married in 1903. His family moved to the United States in 1912, when he was six years old. They settled in Hoboken, New Jersey, where his father worked as a store clerk at a millinery company. The family lived at 1108 Washington Street. In 1918 during the Great War he was a student in grammar school, so he was too young to serve in the military. In 1920 he completed his first year of high school in Hoboken, NJ, after which he entered the work force. This was the customary practice of that time, when few of the working class received more than an eighth grade public school education. The family moved to Staten Island, the southernmost borough of New York City, where his father opened a hardware store. The family lived at 367 Van Duzer Street, which was only six blocks south of the landmark ferry terminal used by thousands of daily commuters to Lower Manhattan. He worked at his father's hardware store and learned to be a locksmith and to do general handyman repairs. 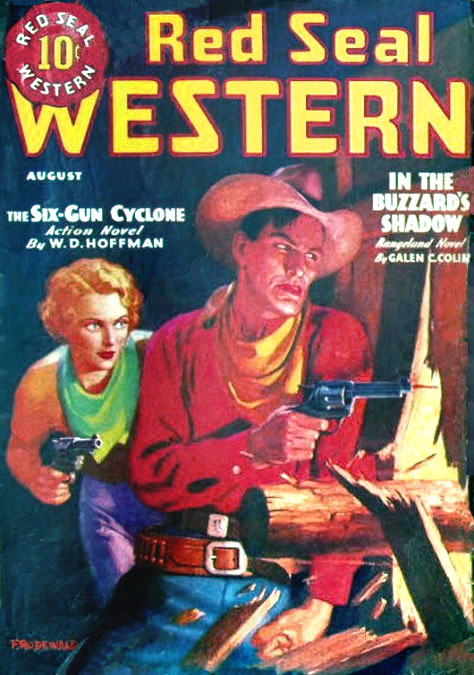 By 1926 he had begun to work as a commercial artist. On August 5, 1932 his father bought a home at 97 Prospect Street in Stapleton, Staten Island, NY. In 1934 he married his wife, Elizabeth Rodewald . She was born in 1912 in New York City. They moved to the town of West New York, which is in New Jersey on the Palisades, with direct ferry service across the Hudson River to Lower Manhattan. 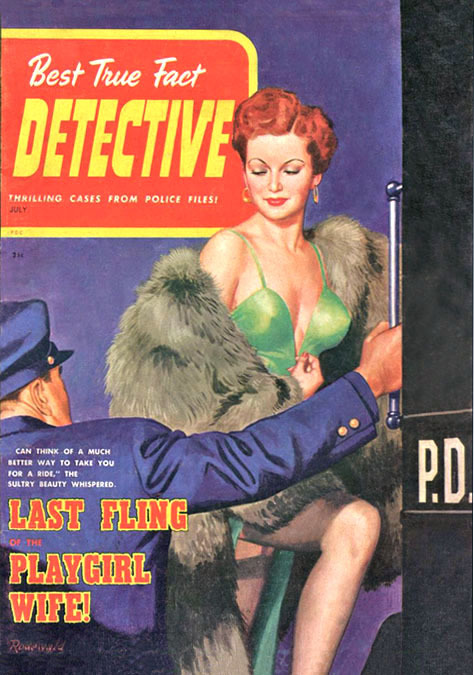 By 1936 he had begun to sell illustrations to pulp magazines. 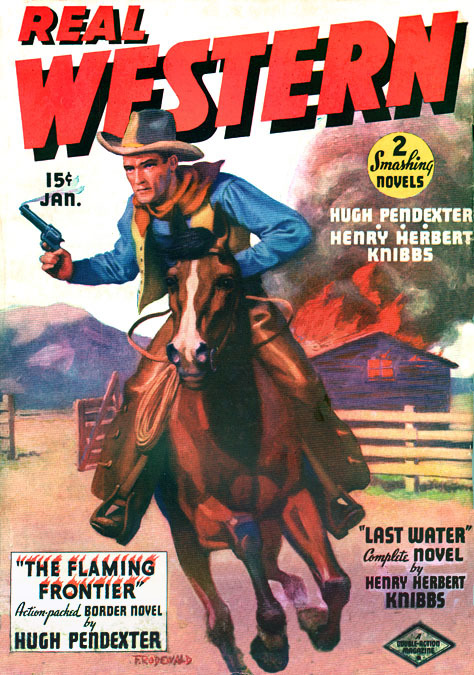 His cover illustrations appeared on Red Seal Western and Real Western Magazine. He also worked as a freelance illustrator in advertising. 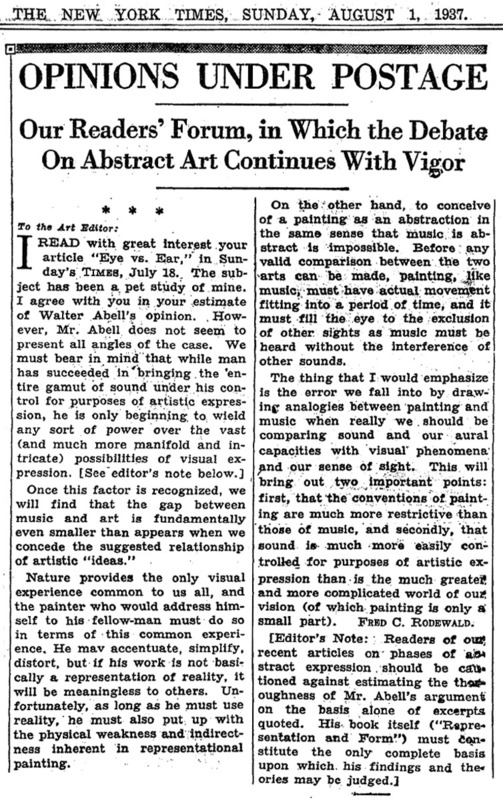 In 1937 The New York Times published a controversial article on abstract art, in response to which he wrote a Letter to the Art Editor, which appeared on August 1, 1937. According to the artist, "Nature provides the only visual experience common to us all, and the painter who would address himself to his fellow-man must do so in terms of this common experience. He may accentuate, simplify, distort, but if his work is not basically a representation of reality, it will be meaningless to others. Unfortunately, as long as he must use reality, he must also put up with the physical weakness and indirectness inherent in representational painting." Most illustrators of popular fiction did not have their opinions on cultural developments published in a public forum like The New York Times, so it seems this artist was exceptionally thoughtful and articulate. Since his formal education ended with the ninth grade, it seems likely that he was raised in a family that respected and encouraged intelligent conversation. By 1938 they had moved to New York City and lived at 12 West 48th Street in midtown Manhattan. In 1941 their son Albert was born and in 1943 Richard was born. The family moved to West Nyack, New York, where they lived at 108 North Greenbush Road. His wife was an active member of the PTA and served as the President of the West Nyack Children's Parent Education Group. During WWII the artist did not serve in the military, most likely because he was thirty-eight years old and supported a dependent wife and two infant sons. 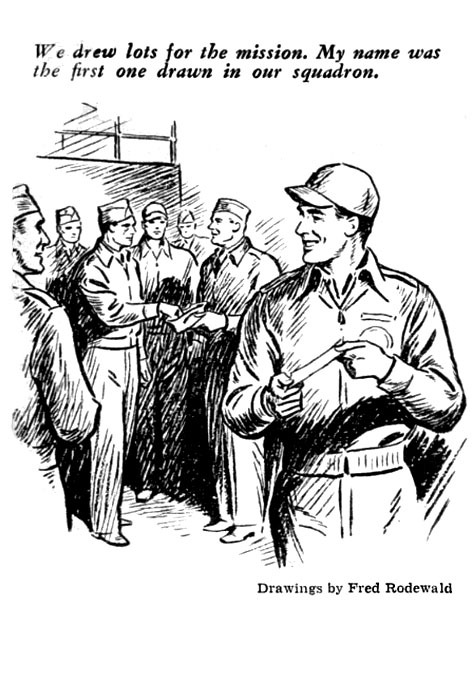 In 1943 his illustrations appeared in Popular Science. In 1947 his third child, Stephen, was born. In 1948 he illustrated the novel Make Mine Double by Charles Deane. 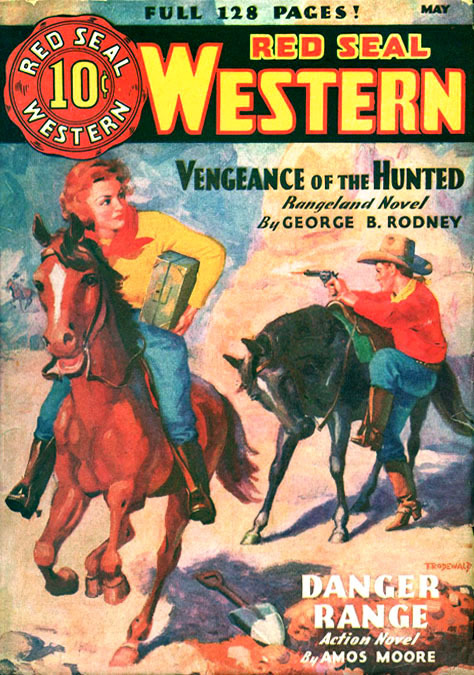 In 1949 his cover illustrations appeared on paperback books and digests published by Quarter Books. 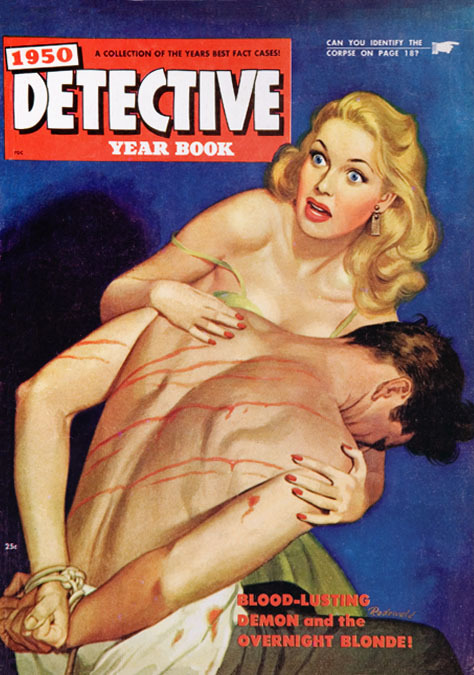 In 1950 his illustrations appeared in Best True Fact Detective, True Crime, and Detective Yearbook. 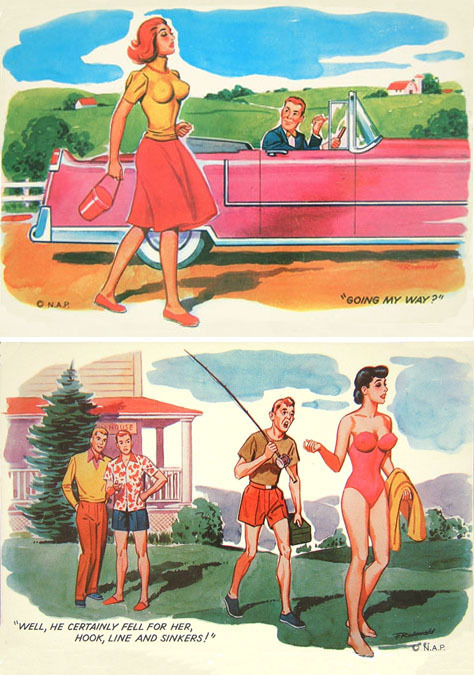 In 1952 he produced a series of novelty postcards for Nyack Art Pictures, Inc. of West Nyack, NY. In 1954 he wrote and illustrated Commercial Art as a Business, published by Viking Press. The book is a detailed guide to the practical concerns of earning a living as a commercial artist. It covers pricing, financing, bookkeeping, legal matters, artist agents, studio jobs and free-lancing. According to the artist,"Geographically, the largest art markets are to be found in the big cities. This is indicated by the artist populations of the cities as set forth in the 1950 U.S. Census Report. Of the approximately 80,000 artists in the United States, nearly 20,000 are to be found in and near New York, 7,000 in Chicago, 6,000 in Los Angeles, with the total in other cities rarely exceeding 2,500. However, since the average income of artists in the large centers is usually only slightly higher than it is in the smaller cities and in the country as a whole, opportunities for artists may be said to exist anywhere. (...) There is virtually no such thing as a really well-paying salaried art job as such. Artists who earn annual salaries of $10,000 or more do so usually in some executive capacity in connection with artwork, not primarily as producers of it. Most salaried art jobs - that is, jobs where artists actually produce art work - are held by beginners or by people who have never developed their capacities beyond the beginner's. Once an artist outgrows this stage he tends to specialize, and when he does so, his general usefulness to any one employer tends to diminish. Thus the artist who has ambitions beyond a hand-to-mouth existence should look upon any salaried job as just a stepping stone to better things. (...) One important outlet for the artist is the magazine field. Here prices paid may not be quite so high as those in advertising, but many artists feel that this disadvantage is more than offset by the prestige that magazine work gives them, as well as by the fact that editorial art is usually more interesting to do. (...) On the other hand, the field of comic books is perhaps the lowest-paid field in the whole art business (twenty-five dollars for a whole page of four or six finished line drawings is not uncommon), and it is worth considering only as a refuge of desperation. A young beginner may glean a certain amount of valuable experience from this work: otherwise only an artist of phenomenal speed or one who works on a royalty basis can hope to earn more than the barest subsistence." 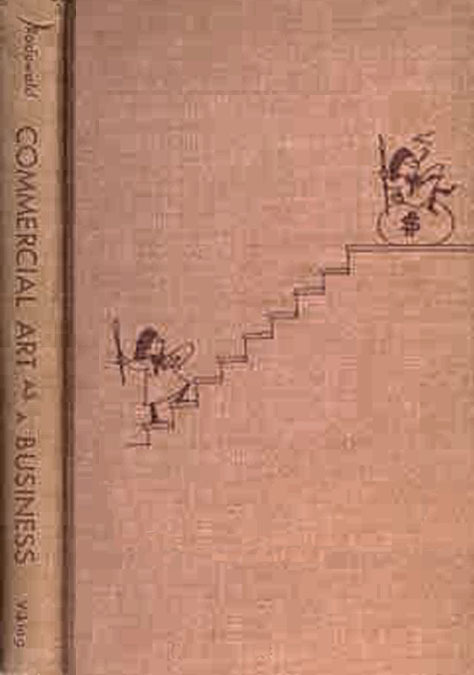 An extensive excerpt from Commercial Art as a Business was featured in the October 1954 issue of American Artist Magazine. 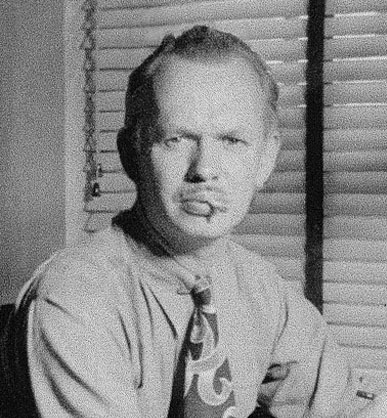 Fred C. Rodewald died at the age of fifty in 1955 .